The medical internationalization! Can Japanese heavy particle radio treatment which takes pride in the world rescue a domestic and abroad cancer patient? The Japanese medical technology which is the best in the world long-lived country is also watched from foreign countries. The one, "heavy particle radio cancer treatment". Heavy particle radio is "one kind of radiation which even accelerates near the speed of light by the back and the electron accelerator which ionized an element beyond helium and is made". It's possible to have a heavy particle radio cancer medical treatment in 5 points of country such as Chiba prefecture, Gunma prefecture , Hyogo prefecture and Saga prefecture at present. It's national corporation National Institute of Radiological Sciences of research and development (Chiba-shi) that I succeeded in development of heavy particle radio cancer treatment equipment for the first time in the world. The heavy particle radio cancer treatment on which a study and a clinical test have been piled in the field of the cancer treatment has got approved as "forward medical care" by the Ministry of Health, Labour and Welfare in October, 2003. 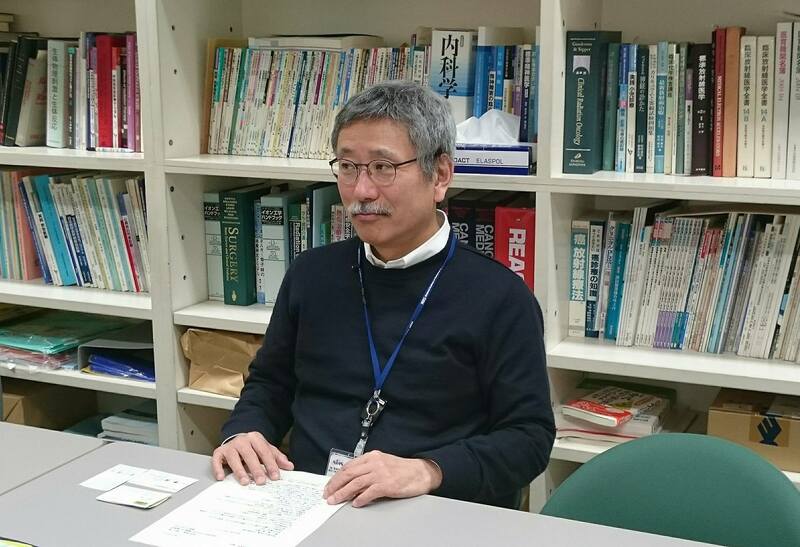 I heard a story from Mr. Masashi Kamata, the National Institute of Radiological Sciences baryon medical department science center chief about heavy particle radio cancer treatment this time. "It's carbon ion that it's used for heavy particle radio cancer treatment. The one like a grain of a very very small diamond. I'll aim at cancer in the body, and a grain of a diamond is transferred. To where is heavy particle radio transferred, and where it's dropped--? Of the cutting the stem in water which makes a thrown stone jump at a surface of the water, when I remember, it may be easy to understand. The power degree when throwing, will be adjusted so that heavy particle radio may be cross with only a cancer cell. Heavy particle radio has the destructive power of 2-triple forcing cancer more than an X ray." For the dose to become short, as the dose becomes high at the surface of the body at the deep place by the body, an X ray and a soku neutron line also exert damage on the normal cell which is around the cancer. On the other hand, heavy particle radio can destroy only cancer by a pinpoint. The dose is because it'll be low and be hardest by the fixed depth of the inside of a body at a shallow place by the body, and I have the aptitude I don't advance towards the inside more than that. This also means being able to suppress a side effect in a minimum. "You have to grasp correctly where cancer is to do heavy particle radio cancer treatment. 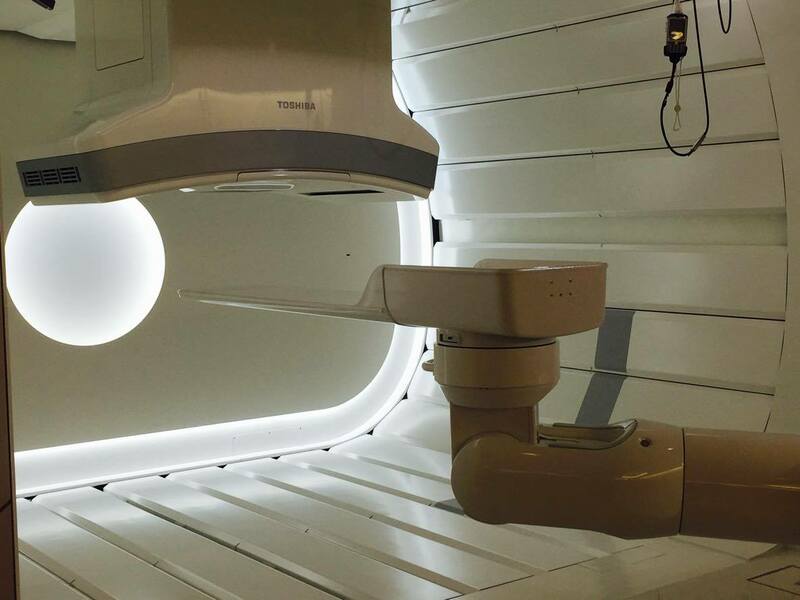 The precision of the heavy particle radio cancer treatment as well as technology of the CT which can specify the size of the cancer and the point of view at three dimensions are also rising. When applying heavy particle radio, it's also necessary to be conscious of breathing. It's because the location of the cancer changes subtly by breathing. After also calculating a movement of the form of the time of breathing such as throwing up breathed in at present, heavy particle radio is being applied." The heavy particle radio cancer treatment more than 9000 people have received so far. Actually, the high effect is reported. The validity of the treatment is estimated by "local phase control factor". A tumor reduced by treatment or local phase control factor is the percentage by which the growth of a tumor stopped. 3 year local phase control factor which is non-cellule lung cancer early when several examples are given, is more than 90 %. The result as approximately 100 % is in by 85-95% and prostatic cancer by liver cancer. "When finding it, the heavy particle radio cancer treatment is also effective for pancreatic cancer with a lot of things progressing until the last years. The survival rate of 2 years later is going up to usual 2-2.5 times. A stomach and a gut correct and don't point to cancer of a digestive organ. It's because a digestive organ is a pinpoint because it's always moving complicatedly, and it's difficult to irradiate. There is a possibility that I make a hole on a wall of a stomach and a gut. Unfortunately changed cancer won't be also a target. Anyway, the idea as the best mixture that the most suitable remedy is combined is important by cancer treatment." 360 times, the small size to which heavy particle radio can be applied from every optional angle and light-weight new-style installation as "revolving gantry equipment" were announced on January 8, 2016. The heavy particle radio cancer treatment which evolves every day. It's said that the overseas question from a patient and the family and acceptance are also increasing Asia and the Middle East in recent years. Japan goes out on "maintenance of the foreigner patient acceptance environment in the medical clinic" more than 2014 years. While further increase of a visit to Japan foreigner is expected for Tokyo Olympic Games in 2020, a movement of internationalization may accelerate the medical agency which has offered forward medical care for Japanese. Further it's necessary to meet several conditions about the condition to have a heavy particle radio cancer medical treatment. For more information, please refer to website of the baryon medical department science center hospital.